More and more individuals these days consider the possibility of a prenuptial agreement. This is particularly true in second and third marriages. It is also true where individuals come into the marriage with sizable assets. A prenuptial agreement (a/k/a premarital agreement) can help provide some clarity for parties if the marriage does not ultimately work. It can also force some parties to discuss finances and related issues prior to getting marriage. It can be helpful, after all, for both parties to know what the other is bringing into the marriage. It can also be helpful to discuss how bills will be paid during the marriage, the income each party expects to make and the property and debt that each have. A question many have is when to start the process? In other words, when two individuals become engaged and decide to marry, if they both want a prenuptial agreement, when do they begin? The answer in a general sense is as soon as possible. The more in advance the parties begin the process, the more time careful consideration will be given to all the clauses. The more time the parties will also have to get the necessary information to their attorney. This allows a full and fair disclosure to take place — which is vital. Allowing the attorneys (and both sides need an independent attorney) as much time as possible can help relieve the pressure. It can also ensure that the agreement is thoroughly drafted, that both sides have adequate time to review it and that there is no duress taking place. From an enforceability standpoint, the further away from the wedding date that a prenuptial agreement is signed, the greater the chance it will be found to be enforceable in divorce proceedings. There is no magic rule about how far form the wedding date that a prenuptial agreement should be executed, but the further away the better. 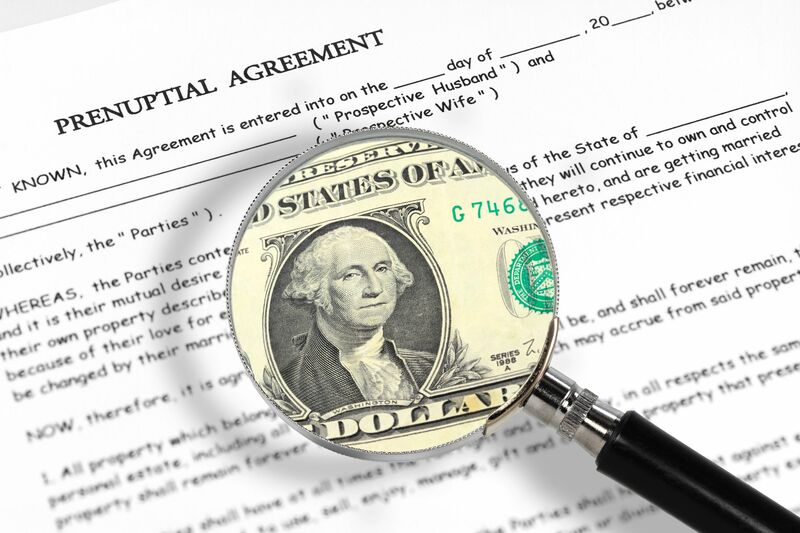 The closer a prenuptial agreement is signed in proximity to the wedding date, the greater the chance that somebody might feel that they are under duress, that they have not adequate opportunity to review the prenuptial agreement with their attorney and carefully consider the terms. Thus, if you are considering a prenuptial agreement, it is normally best not to put it off and begin the process as soon as possible. If you are interested in having a prenuptial agreement, you can contact Stange Law Firm, PC at 1-855-805-0595.